Waterloo – The Lazaridis Institute for the Management of Technology Enterprises today announced a partnership with Communitech to help small and medium-sized technology firms in Canada scale more rapidly into globally competitive enterprises. Canada has one of the most successful entrepreneurial ecosystems in the world, as demonstrated by a strong pipeline of thousands of technology start-ups. But Canada’s tech industry cannot thrive on start-ups alone. Of the more than 36,000 technology companies in Canada, fewer than five per cent are high-growth companies at the scale that provides the majority of net job growth. These companies – scaleups - are the key to unlocking greater economic prosperity for Canada. To build a globally competitive tech company, a scaleup requires a different mindset and development focus than that which suits the early stages of growth. Recent Lazaridis Institute research indicates that the primary barrier for scaleups is access to experienced executives who understand the complexities and speed of today’s dynamic technology markets. There is a shortage in Canada of tech executives with deep experience in selling, marketing, organizational design and the capture of international markets. 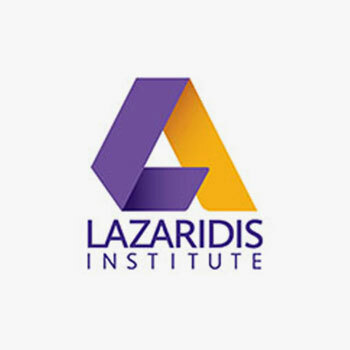 The mandate of the Lazaridis Institute, which is located within the Lazaridis School of Business & Economics at Wilfrid Laurier University, is to enlarge the talent pool by better preparing current and future generations of Canadian executives for the management of rapid and continued growth in the tech sector. The partnership between Communitech and the Lazaridis Institute will focus on how to best support growth-oriented small and medium-sized Canadian tech companies in the cultivation of the management talent they need to compete successfully in global markets. As a first step, Communitech will assist the Lazaridis Institute in developing an assessment tool to measure key indicators of management capacity and operational readiness in scaleup and potential scaleup companies. Feedback from this assessment tool will enable firms to benchmark themselves in both the global and the Canadian tech sector and better understand their particular barriers to scale. Communitech, with its expansive network of founders and CEOs, will identify appropriate mentors and experts to join the Lazaridis Institute’s global network and assist high-potential scaleup companies in their growth paths. Together, Communitech and the Lazaridis Institute will continue to pursue research into the challenges facing scaleups and factors unique to the Canadian technology sector. The Lazaridis Institute for the Management of Technology Enterprises was created in 2015 to support growth-oriented Canadian technology companies. Developed through investments by Mike Lazaridis and the Government of Ontario, the Lazaridis Institute helps current and emerging technology firms to scale rapidly into globally competitive organizations. The Lazaridis Institute is based at Wilfrid Laurier University in Waterloo, Ontario, part of the Waterloo Region - Toronto Tech Corridor. We create knowledge, share intelligence and build collaborative networks to strengthen Canada’s technology ecosystem, and the business leaders and students central to it. Communitech is an innovation centre in Waterloo Region that supports a community of more than 1,000 tech companies—from startups to rapidly growing mid-size companies and large global players. A member of the Ontario Network of Entrepreneurs, which is funded by the Ontario Government, Communitech helps tech companies start, grow and succeed. For more information, visit www.communitech.ca.